Famous painting of Lord Caitanya and His associates performing Sankirtan, chanting the Hare Krishna mantra congregationally. 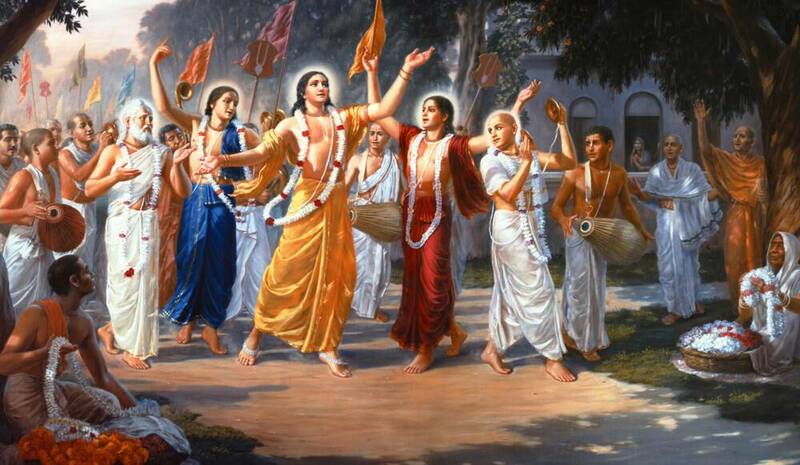 Lord Sri Caitanya Mahaprabhu is the founder of the sankirtan movement. He appeared in West Bangal, India about 500 years ago.